We began this topic by looking at the role utilities play in wildfires in the American West. While downed lines or other utility factors only cause a small fraction of wildfires, one fire is too many when the loss to property and life can be so massive. Wildfires and other damaging situations can result from infrequent maintenance and asset inventories. It is all too common for overwhelmed joint use and operations departments to lag behind on proactive maintenance schedules, and to respond to repair requests with a “who’s yelling the loudest” priority system. The costs of this reactive asset management is significant in terms of bottom-line losses, legal fees, property damage, and injury. The joint use industry has changed in leaps and bounds over recent decades. The number of attachments has multiplied, resulting in greater maintenance needs. Gone are the simple days of two or three attachers and a comfortable 8 to 10 year cycle for pole inspection. Today, the number of providers grows almost daily - Wikipedia lists more than 45 broadband providers across the country. New, wide-usage technologies—from wireless to DAS, CATV, and more—contribute to joint use assets crowding overhead and underground spaces. At a minimum, attending to the reoccurring plant changes like attaching, replacements, aging, and end-of-life are a strain on many asset owners. The relentless pace of growth means it is more difficult than ever for asset owners to stay on top of repairs and maintenance requests (not to mention proactive maintenance schedules). Joint use staff shortages are rampant and the potential for problems in the field is higher. 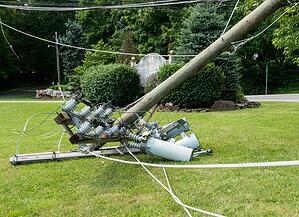 How much does it cost to replace a utility pole? The answer can range from $250 to $3,000, and even up to $200k, and is wildly dependent on location, size, material, number, and type of attacher, among other factors. For companies that own thousands or millions of poles, maintenance, repairs, and replacement costs add up quickly. Combined with the cost of staffing, many companies choose to limit proactive inspections to once every eight to ten years in an effort to control costs. However, the reality of this approach ends up costing asset owners significantly more than a proactive maintenance schedule would. In addition, there is a significant cost to delaying regular inspections and maintenance: replacing a failed asset is more costly than repairing it and preventing the failure. Consider the situation of a pole coming down. It requires an immediate response, and if it happens at night or over a weekend, added costs are incurred for overtime in the field. Typically, this kind of response is also more urgent, more involved, and requires more materials and skills than a proactive repair. It also requires rolling a truck and sending technicians and linemen to a single location, rather than being able to consolidate several repairs, inspections, or maintenance stops within the same area all at once. A proactive approach to asset maintenance can also prevent legal costs that result from claims on damages from failed assets. Reactive maintenance and repairs come with risking the unknown—not knowing if assets are failing or not can potentially cause damage and destruction, such as a pole coming down, resulting in damage to life or property. In our next post, we discuss how existing fire maps can be used in coordination with asset management software to quickly and easily prioritize asset maintenance in high-risk fire zones. How does your company use boundary data to proactively maintain your asset base? Share your thoughts in the comments below.